He’s yellow – but he sure ain’t mellow! 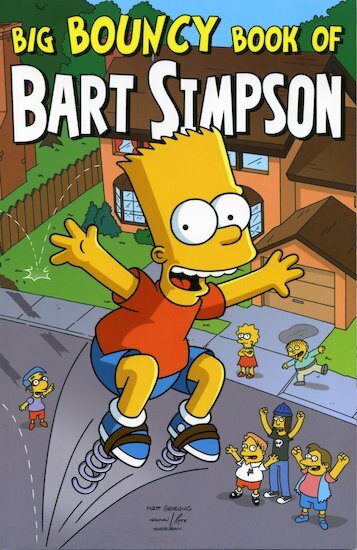 Bart Simpson bounces into more brat-tastic trouble in this book of brain-bending adventures! Masked marauder Bartman and his sidekick Houseroy take on the Riddling Robber in “Legends of the Bartman Family”! Homer’s mis-spent youth is revealed in “The Special Kid”! Double-agents and super-spies abound in “Secret Agent, Man”, and Bart and Milhouse make the ultimate zombie movie in “Movie Mayhem”. Chuckle at all these stories and many more! I love the simpsons comic books and movie mayhem is great, this comic book is suitable for everyone 7+ i think!